A quick look at one lens that fits into a popular mould. 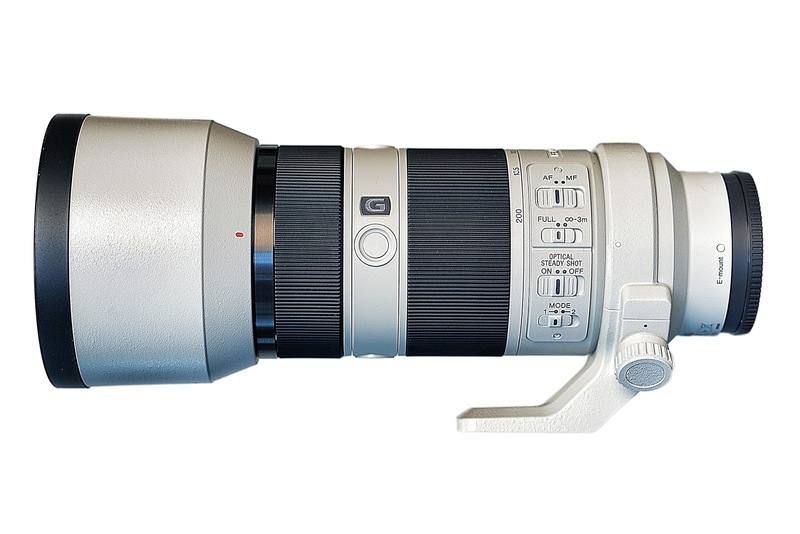 The Sony 70-200mm f4.0 G.
Sony's answer to Nikon and Canon's 70-200mm f4.0 lenses. I bought a new camera on Friday but you know that no one really buys into a new camera system without grabbing some new lenses to go along for the ride. I bought two. In this blog I will write about the one that makes me most happy; the 70-200mm f4.0 G zoom. It actually has more letters in its name but I can't keep up with all the abbreviated garble. For the last two years I have been using one of Nikon's 80-200mm f2.8 zooms. It's an earlier, push-pull design and I have absolutely no complaints about the optical performance I got from it. It's really sharp! Even though we now require lenses to be sharp from corner to corner, wide open to consider them passable, that lens from the 1990's was a very competent optical system for use in the real world.